The most recent version of MSI’s UEFI BIOS presents itself with an attractive design, and you can not only monitor system information, CPU and motherboard temperature, CPU voltage and DRAM status but you can also create your own fan profiles for the different PWM headers. 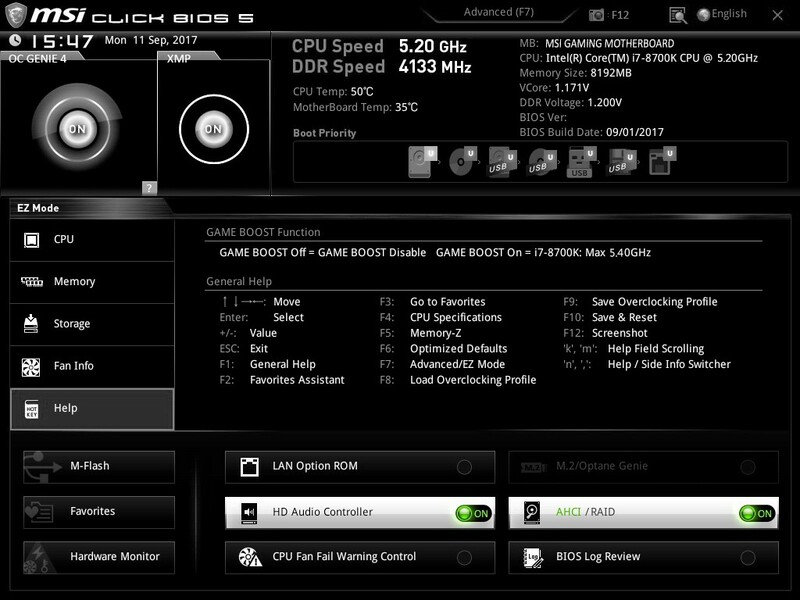 Other than that MSI has been working on the overclocking options, meaning they've added memory profiles to this motherboard. This helps making memory overclocking quite a bit easier.